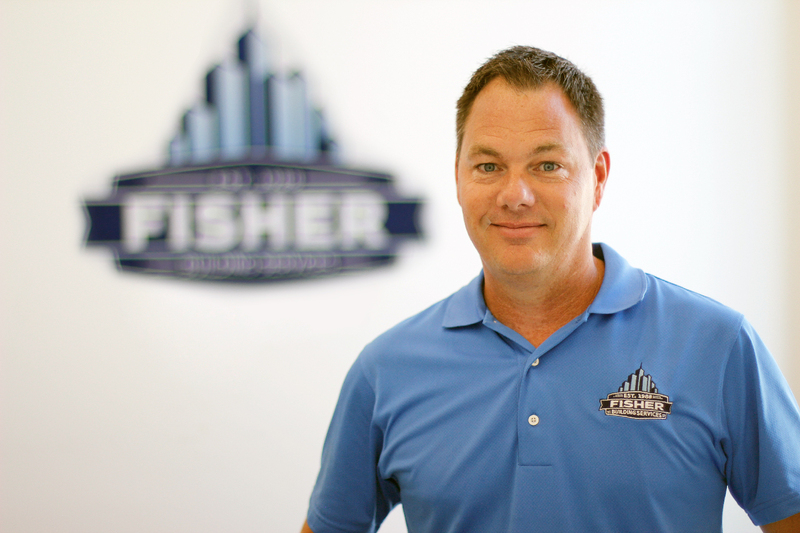 Doug Fisher, founder and CEO of Fisher Building Services LLC, began the company in Omaha, Nebraska in 1988. As a family owned business, Fisher Window Cleaning is one of the leading businesses in the Midwest to provide the region with safe, reliable and quality service. What started as a one-man business, now employs over 50 employees. Always growing to clients needs, Fisher Window Cleaning introduced power washing services in the early 1990s and commercial waterproofing services added in the late 1990s. By 2013, the business expanded to Iowa and South Dakota with satellite offices in Des Moines, followed by a satellite office in Sioux Falls in 2015. In 2016, we introduced parking lot maintenance to our services offered to accommodate multiple building needs. 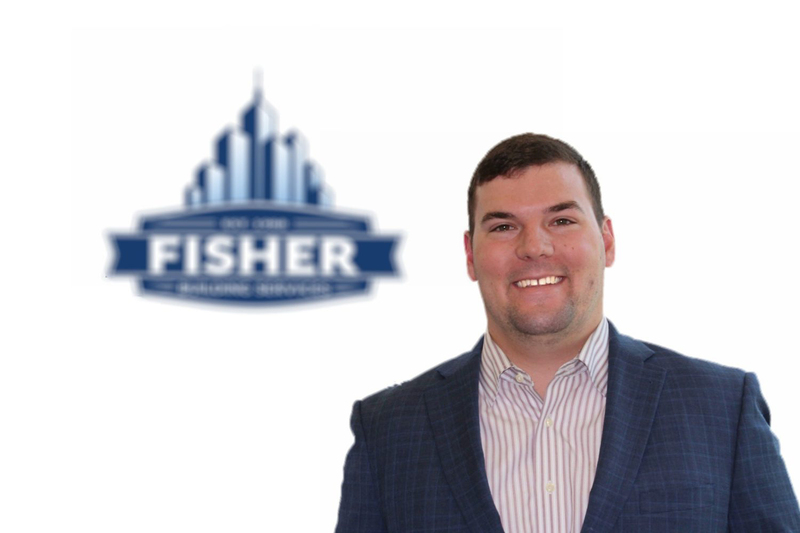 Douglas Fisher is the founder, President, and CEO of Fisher Building Services Inc. 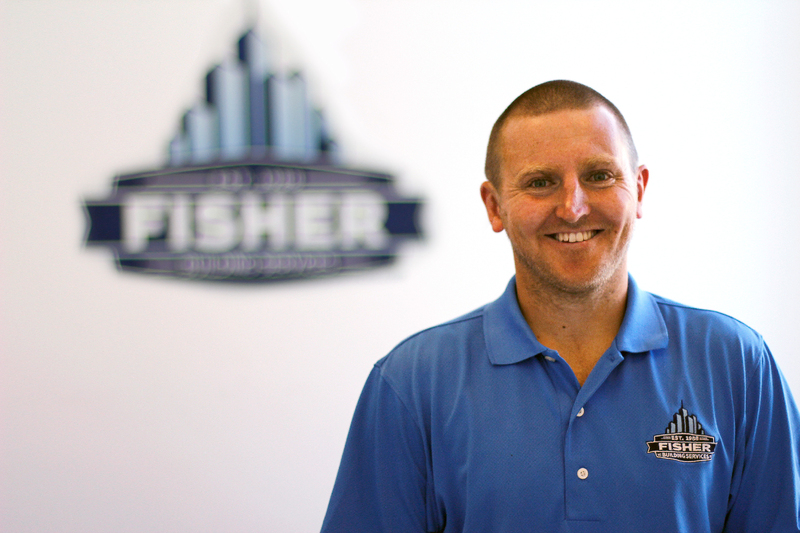 In 1988, Doug left Des Moines, Iowa to start Fisher Window Cleaning, LLC in Omaha, Nebraska. 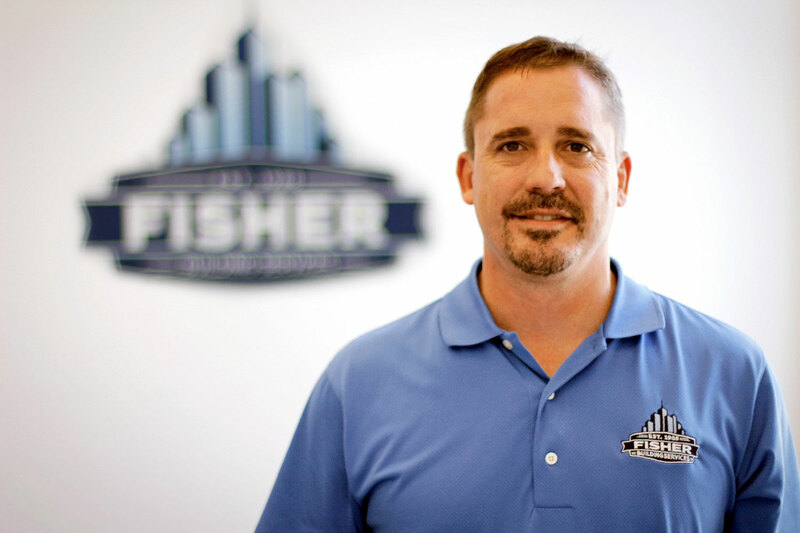 Throughout the years with Doug’s vision, hard work, and dedication to providing superior craftsmanship, Fisher Building Services Inc. has grown into one of the largest specialty contracting firms in the Midwest. Doug is a proud member of IWCA, BOMA, ICRI. Joe is our Vice President and Water Proofing Manager. He is responsible for leading and managing accounts. Joe has been in the industry for over 10 years, and joined FBSI in 2008 while serving four years in the United States Marine Corps. When asked what he likes about the industry, Joe states that there are “never ending opportunities”. Joe appreciates his coworkers, the vast opportunities and the always challenging structure to the business. On an average day, Joe is responsible for estimating, visiting job sites, submittals, warranties, client and vendor relationships and progress billing. Joe’s hobbies include fishing, golfing and spending time with his wife and 3 kids. Doug has been with FBSI since April, 2015. Doug states that he enjoys “the relationships and various challenges that pop up while working with the company and the people.” On an average day, Doug is busy working with customers on expectations, schedules and scope changes, as well has hunting for new opportunities. For relaxation, Doug enjoys golf, traveling, snowboarding and spending time with his wife and kids. He has been married to his wife for over 15 years and has two children, Jordan and EJ. John oversees high-rise, commercial and residential window cleaning. We’ve been honored to have John working with us since 1994. John is responsible for the day-to-day operations, employee accountability, estimating, scheduling, training, safety, and client satisfaction for the window cleaning division. When asked what he likes most about the industry, he states, “It’s not the same day in and day out. It continues to push me and to think outside of the box. I enjoy the people that I work with, the ability to work independently, that I am a trusted member of the team, that FBSI is family oriented, and that we support each other and work together for continued success.” An average work day for John includes delegating work to the crew members, reviewing upcoming jobs to prioritize and schedule, ordering supplies and equipment, providing window cleaning estimates, responding to phone calls and emails, attending various meetings and leadership training, and checking on job sites and crew for safety, quality and performance. John and his wife have been married for over 19 years. They enjoy golfing and the outdoors. He has two daughters, Miya and Emma, and two Great Danes. John is responsible for the HR, fleet, equipment, waterproofing labor coordination and safety and hazardous communications. John received his degree from Bellevue University Business Administration with an emphasis in Human Resources. We have been happy to have John with our team for over five years. John’s role includes hiring workers, making sure all correct job tools and materials are in order and that the fleet and equipment are in superior operating mode. John states that he likes that the “work is different from a day to day basis”. He appreciates that FBSI “cares about their employees and has a well-established name in the metro area”. In his spare time, John enjoys golfing, fishing and running. He and his wife have been married for over 4 years and have one daughter, Clara Marie, in addition to two Boston Terriers. 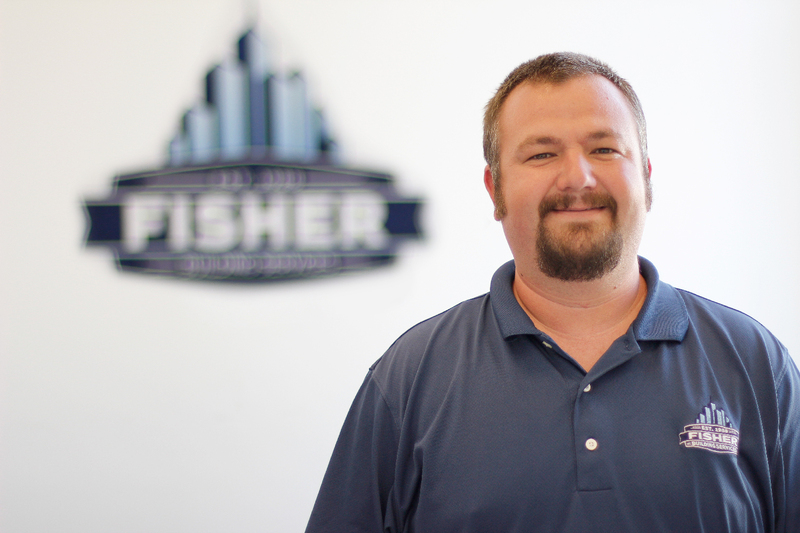 Ed is a Financial Controller for Fisher Building Services. In this role, he oversees all finance and accounting operations for waterproofing and window cleaning services. Ed is also the project administrator for all waterproofing projects. Ed joined FBSI in 2018 after spending 3 years as a Relationship Manager at State Street Bank & Trust focusing on Public Pension Plans in Massachusetts and California. 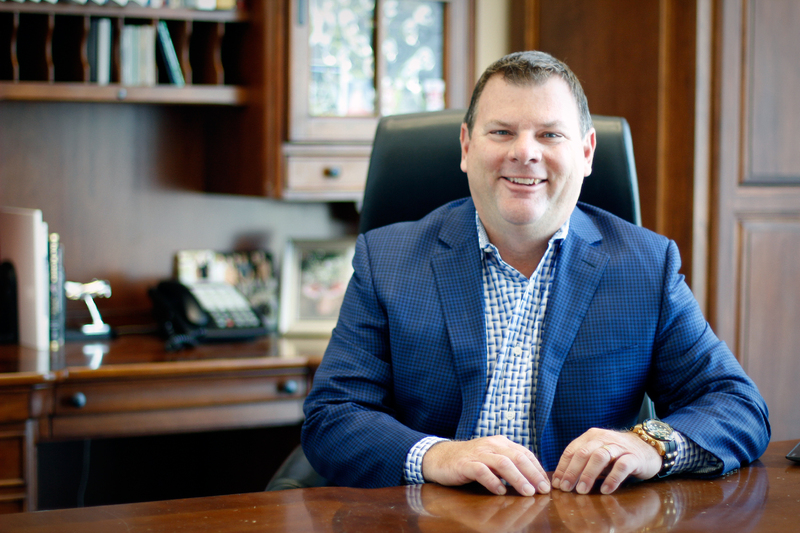 During his time at State Street, Ed graduated from the Advanced Leadership Program through TDE, LLC. Prior to State Street, Ed help multiple accounting and finance internships while completing his BBA in Finance and Management at the University of Iowa. In his free time, Ed enjoys spending time with his family and friends. Jeridan has been with FBSI since April 2006. Jeridan’s duties vary, be it working out in the field cleaning windows, lift-work, power washing, and writing bids for new clients. He can also be found in the office scheduling jobs, assigning his team members daily tasks, and making sure his team has the necessary supplies that they need to complete the work. When asked what he likes most about the industry, Jeridan states that he likes “building maintenance, seeing the before and after of a job, and putting a smile on the customer’s face”. Jeridan also loves that “we are family oriented, offer a fun atmosphere, and that we take great care of our employees”. To unwind, Jeridan enjoys fishing, BBQ’s, bonfires, hanging with friends and family and watching car races. He has been married to his wife for over 8 years, and has 2 children, 3 dogs and 1 rabbit. 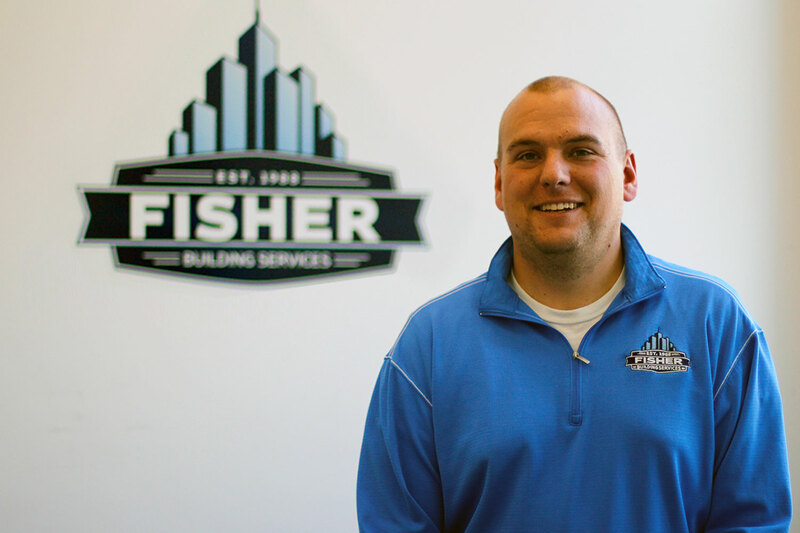 Mark joined Fisher Building Services Inc. in June of 2015 as an intern. After completing his internship with FBSI and receiving his associate’s degree from Metropolitan Community College in construction and building science, Mark was hired on as a project manager/ Estimator in August of 2015. 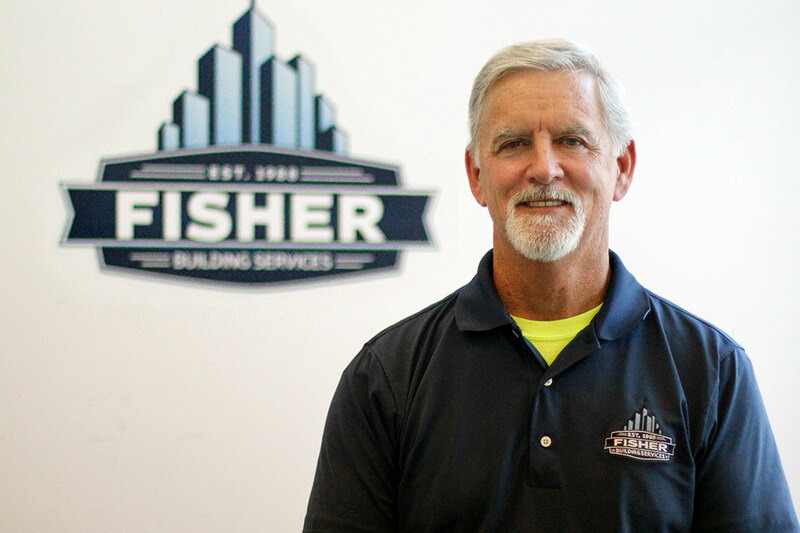 Mark, with his 40-plus years experience as a mason along with his vast construction knowledge, has become a valuable asset to Fisher Building Services, Inc.
Mark and his wife have been married for over 45 years. They have three children and three grandchildren. He enjoys spending time with his family and competitive fishing. 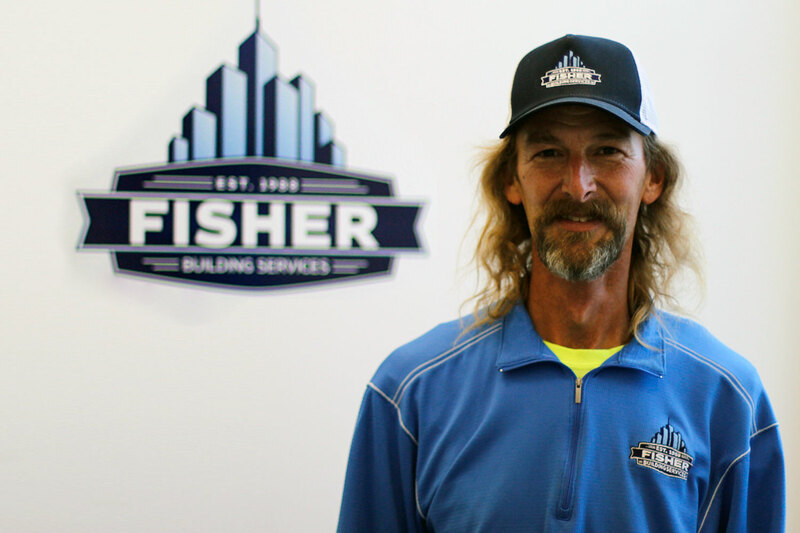 Buck joined Fisher building Services Inc. in April of 2009 as part of the window cleaning ground crew. He quickly moved to high-rise, where he began repelling skyscrapers in: Omaha, Nebraska, Sioux City, Iowa, and Sioux Falls, South Dakota. Buck’s company loyalty, hard work, and dedication to the client satisfaction prompted his promotion to Senior High-Rise Foreman in 2011. He is responsible for his team’s safety, quality of production, training and staying on budget. Buck volunteers to dress up as Batman when he and his team clean the children’s hospitals glass. He says he enjoys bringing smiles to the children. Buck – along with his wife of 20-plus years, Cathy – have two children, Jordan and Bryce, both of which have worked for Fisher Building Services Inc. during their summer breaks. In Buck’s spare time, he enjoys spending time with family, golfing and bowling. 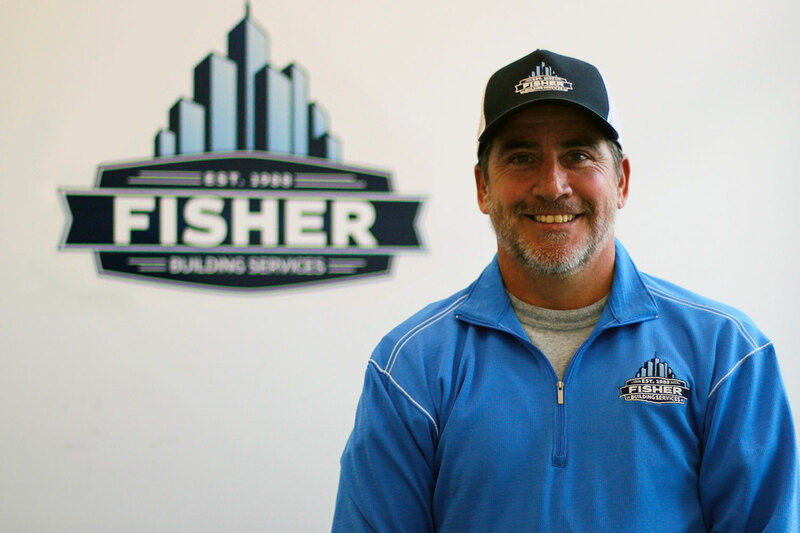 Jim joined Fisher Building Services Inc. in March of 1993, and over time with hard work and dedication took a leadership role as a project manager. Jim is responsible for safety, quality, production, scheduling, and coordination on his job site. Jim, with his 24 years building restoration and parking garage restoration experience, will keep your project on time and budget. Married for over 23 years, he and his wife have a daughter and a grandson. In Jim’s spare time he enjoys spending time with his family, collecting classic cars and drag racing. Chris joined Fisher Building Services Inc. in July of 2014 as a caulker/waterproofer. He received a promotion to Construction foreman in the summer of 2015. Chris specializes in building restoration, exterior cleaning, caulking, and sealing. Chris is responsible for his team’s safety, quality, production, and budget. Chris, along with his wife Jodi, have two sons. Chris enjoys spending his spare time with his family, golfing and coaching his son’s baseball team.